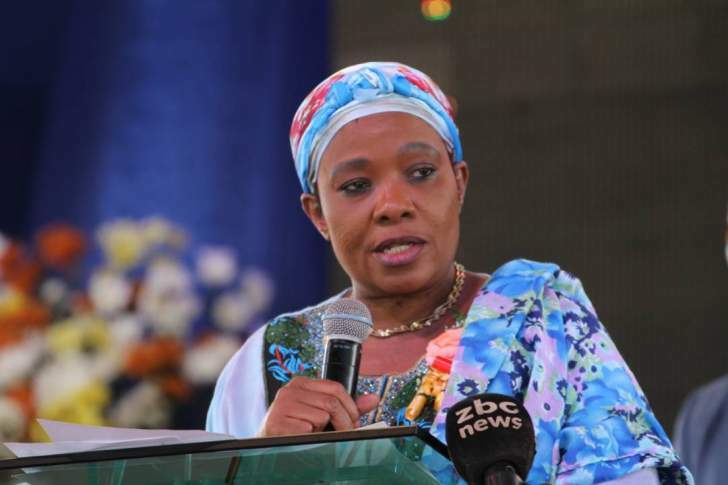 First lady Auxillia Mnangagwa, increasingly carving out a government role for herself, flew to New York on Monday to attend a United Nations gender summit. The 63rd session of the Commission on the Status of Women will take place at the United Nations Headquarters in New York from March 11 to 22. Although the conference does not start until Monday next week, ZimLive understands Mnangagwa left on March 4. She and her small delegation will spend close to three weeks in the United States on the taxpayer's tab. The United States embassy in Harare declined to comment on her trip. "We do not comment on individual visa cases and applicants' travel plans to the United States which are confidential," embassy spokesperson Stacy Lomba said in an e-mailed response. The first lady, whose husband is subject of targeted United States travel restrictions, will be restricted to a 25-mile radius of the United Nations headquarters during the visit. The Commission on the Status of Women is the principal global intergovernmental body exclusively dedicated to the promotion of gender equality and the empowerment of women. It draws government officials, UN entities, and non-governmental organisations from around. The first lady has been seeking a greater role for herself in her husband's government, and her decision to attend the UN summit is the latest illustration of her growing influence.